On this episode of Blood of Kings, your co-hosts Kevin and Norm celebrate their 75th show…their Diamond Anniversary show if you will, by ringing in a NEW look with a NEW logo and adding a little more shine and sparkle to the Blood of Kings experience as they continue to bring Highlander fans the very best coverage in ALL things Highlander. Specifically…Kevin and Norm review a very interesting product for this 75th show. 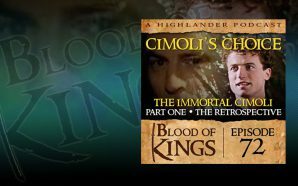 On this episode of Blood of Kings, Kevin opens up – on air – his brand new Highlander: The Series DVD boxed set (from VEI / Visual Entertainment Incorporated) and both he and Norm do a review on their very first impressions with this DVD box set straight from the cellophane wrapper and right into the DVD player. 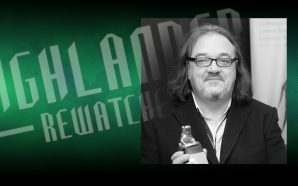 Enjoy their coverage on this new product offering and a welcome addition for both new and veteran Highlander fans alike.